The Bill Munday School of Business is at the center of a vibrant network. We introduce alumni to current students and faculty, bring alumni from different industries and backgrounds together, and connect alumni with opportunities to make an impact. Accepted full-time job offers with Fortune 500 companies and local startups. These include Amazon, Apple, City of Austin, Dell, Deloitte, Facebook, Goldman Sachs, IBM, JPMorgan Chase & Co., KPMG, National Instruments, NBC Universal Media, USDA and World Bank. Founded social justice organizations, photography studios, breweries and venture capital firms. Achieved success in graduate school and law school at prestigious institutions. Earned distinctions such as Fulbright Scholar. An organization that engages our alumni, friends and community members in supporting the school’s mission, and most importantly, our students. With a yearly donation of $100, Friends of The Bill Munday School of Business members receive professional development, networking opportunities and access to prominent events – and through their generous donation, The Bill Munday School of Business is able to move forward in ways that support our model for education. Becoming a Friend of The Bill Munday School of Business means that you have access to unique opportunities and networks in the state’s hub of technology and innovation. An invitation to VIP receptions at Bill Munday School of Business events. An invitation to a lightning-lecture series at St. Edward’s University Homecoming & Family Weekend. Our distinguished faculty will address topics such as negotiation and leadership development. An invitation to an annual Friends of The Bill Munday School of Business networking event. 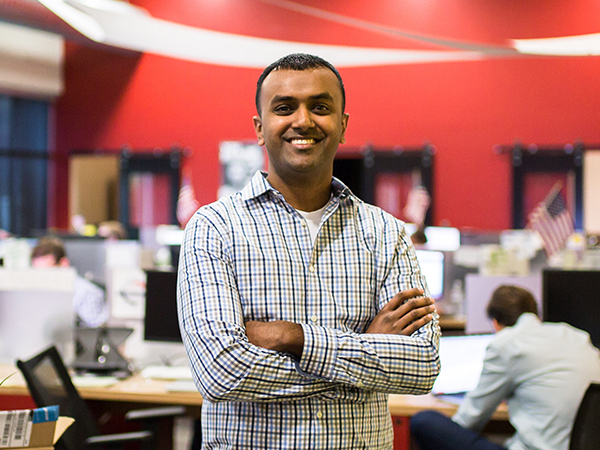 Access to events at school of business partner organizations, such as Capital Factory. Access to the guest computer in Munday Library, with connection to library databases. Career services, including career advising, job search tools and access to recruitment events. The ability to audit most school of business courses for a nominal $130 cost. How Does Your Gift Make an Impact? Through your generous donation, The Bill Munday School of Business is able to move the needle on innovative, high-quality programs that prepare our students for career success and support our faculty with research opportunities. For students to compete in today’s job market, they need experiences outside of the classroom that give them tangible skills. 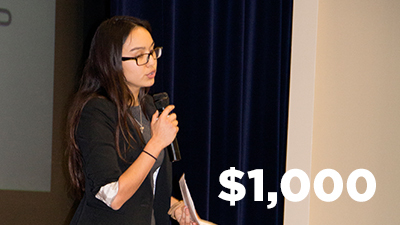 From attending conferences to competing in national business plan competitions, our students participate in co-curricular activities, but they need your support. 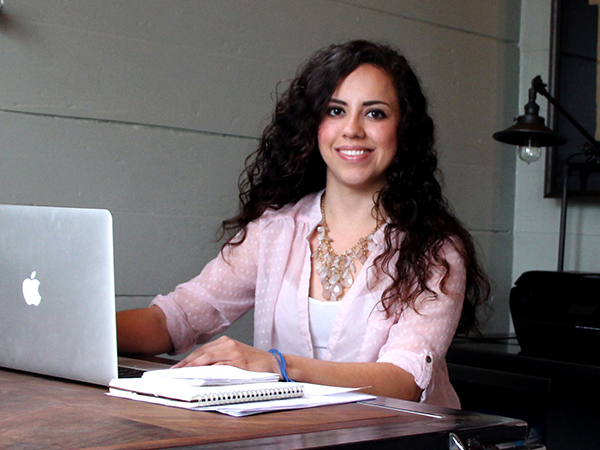 Brianna Chacon ’16 wanted to break into the entertainment industry. 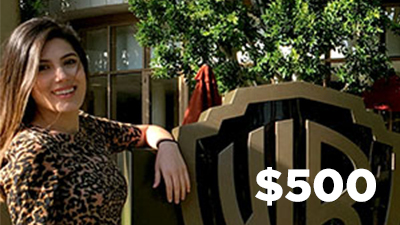 She came across MASSIVE: The Entertainment Marketing Summit in Beverly Hills, but with tickets costing over $600, Brianna did not have enough money to cover costs. Dr. David Altounian encouraged her to create a GoFundMe campaign. 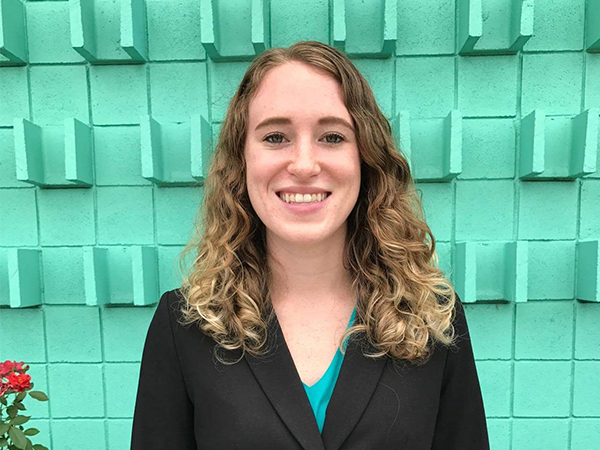 Lauren Welch ’17 is working to revolutionize healthcare through Xelpha Health, a business venture that earned her a spot in the MIT Global Entrepreneurship Bootcamp. In spring 2017, the school of business funded her plane ticket to Brisbane, Australia. 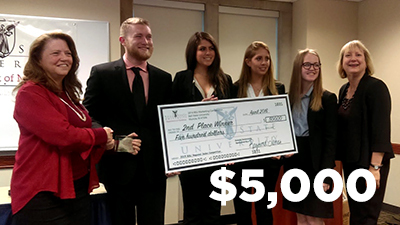 In April 2016, a team of students sponsored by The Bill Munday School of Business successfully competed in the first-ever Social Media Competition at Ball State University, where they took home second place and the Most Creative Team award. The Bill Munday School of Business educates over 1,300 students every year. 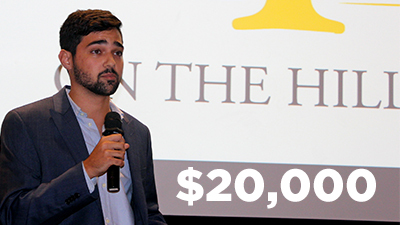 Through lecture series, retreats and pitch competitions, students get access to and feedback from business professionals and alumni making a difference. The school of business hosts entrepreneurial events for students from all majors. From 3 Day Startup to the Business Plan Competition, students get a crash course in testing their business ideas with customers, pitching their idea to investors and creating a sustainable business plan. Our faculty travel nationally and internationally to present their research at highly respected conferences, and they contribute to timely research with colleagues across the globe. Our faculty need support for conference travel, access to databases and software, memberships in professional organizations and collaboration grants. Discover ways that your organization can partner with The Bill Munday School of Business. Volunteer to speak in the classroom, participate as a panelist in a speaker series event or meet with a business student 1:1. Recruit business students for full-time jobs and internships. Engage with the Alumni Association at St. Edward’s University by attending an event, updating your contact information and learning more about alumni chapters. Follow The Bill Munday School of Business on Facebook, Twitter or Instagram. We have identified the following funding priorities that are critical to our pursuit of AACSB accreditation and the mission-driven education we aim to provide. Make a difference by creating opportunities for business students from all backgrounds. Scholarships – Your gift can contribute to existing funds, or it can be named at the annual or endowed scholarship levels. Chapter Sponsorship – Chapters need annual assistance with sending students to national conferences, hosting speakers on campus, and designing unique programming. Give students access to high-quality programs and experiences that prepare them for career success. iChallenge on the Hilltop – A pitch and business plan competition where students form teams, collaborate with mentors and take their business ideas from concept to reality. Speaker Series – A series of events featuring nationally recognized business leaders. Students gain insight on becoming strong leaders, managing teams, and transitioning from student to successful employee. 3 Day Startup – A program that gives students the skills to not only start a company, but also land jobs in startups, drive innovation and kick-start social impact projects. Make an investment in the school’s future. Your gift will further advance the mission and vision in perpetuity. Chair – A highly competitive faculty appointment that boosts recruitment and retention of top scholars. Professorship – A perpetual resource that fuels activities like advanced research and curricular innovations. Fellowship – A fellowship provides resources for essential teaching needs and professional development. Contact Dean David Altounian at davida [at] stedwards.edu or (512) 428-1287 for more information. The model aims to provide the most relevant and impactful student experience, which prepares our graduates for the challenges of a connected, digital world. 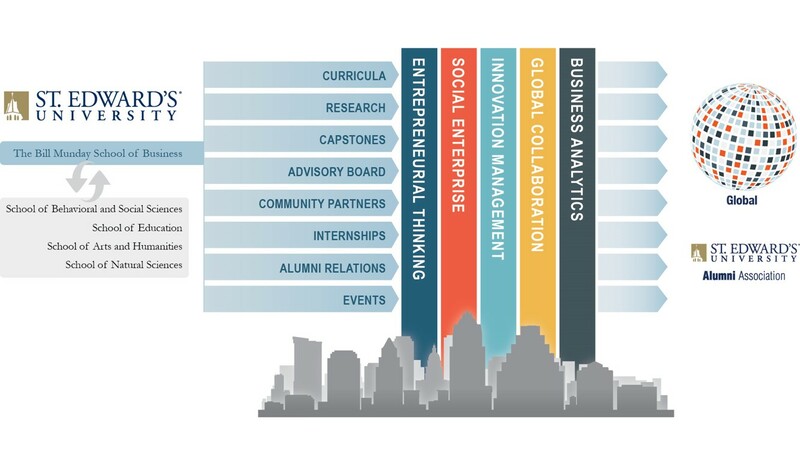 The five pillars on which our business education is built reflect Austin’s business environment: entrepreneurial thinking, social enterprise, innovation management, global collaboration and business analytics. Get informed, get involved and get inspired. Mission to Market delivers alumni news, events and information.